An 1890 farmhouse beside Ontario's last remaining covered bridge north of Waterloo gets an eclectic update. 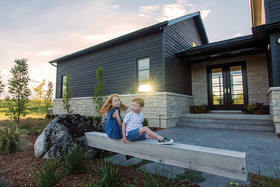 A version of this article originally appeared in the Summer 2018 issue of OUR HOMES Region of Waterloo p.24. Find local businesses in our Waterloo directory. 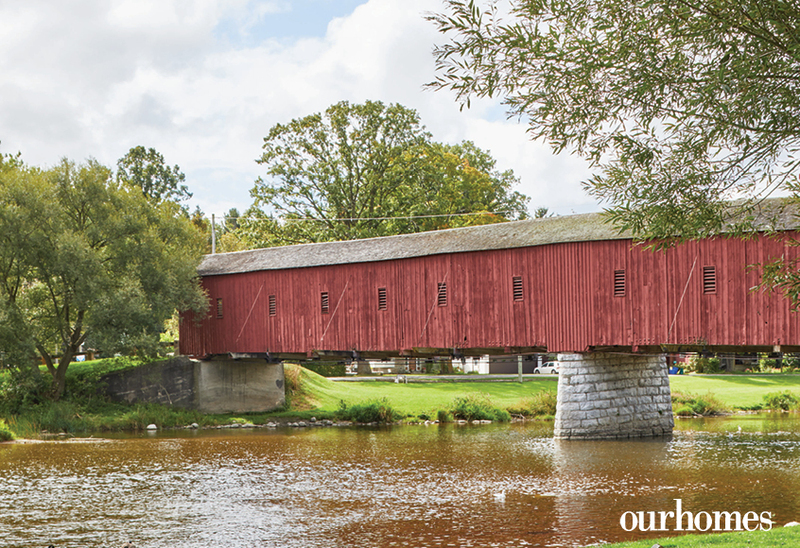 Every year, thousands of visitors travel to West Montrose, north of Waterloo, to visit its famous Kissing Bridge, the last wooden covered bridge in the province and the oldest covered bridge in Canada. 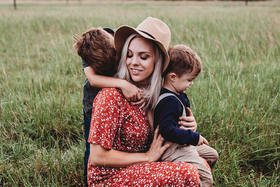 Author, television personality and cocktail enthusiast Dee Brun and her family simply need to look out their windows. Their handsome farmhouse sits about as close to the bridge as you can get. They can hear buggies and horses clip-clopping across the bridge and their covered porch has a stunning view of the Grand River flowing underneath it. “There’s something special about living with Canadian and Ontario history in your front yard,” says Dee. The bridge itself was built in 1881. In about 1890, the buildings at the mouth of the bridge – now Dee’s home, garage and gift shop, The Olde Bridge Place – were constructed. They’ve all gone through many iterations since then. Dee and her family have lived in this home for four years, moving from downtown Kitchener. 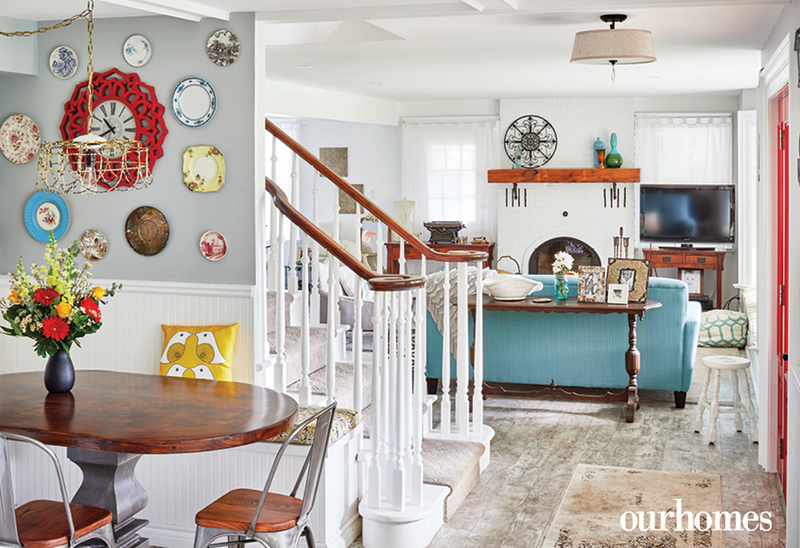 They saw this old farmhouse with the wraparound porch and fell in love. Updates began at once. Dee and her husband removed a half-wall in the dining room to open up the space and redid the powder and laundry rooms. 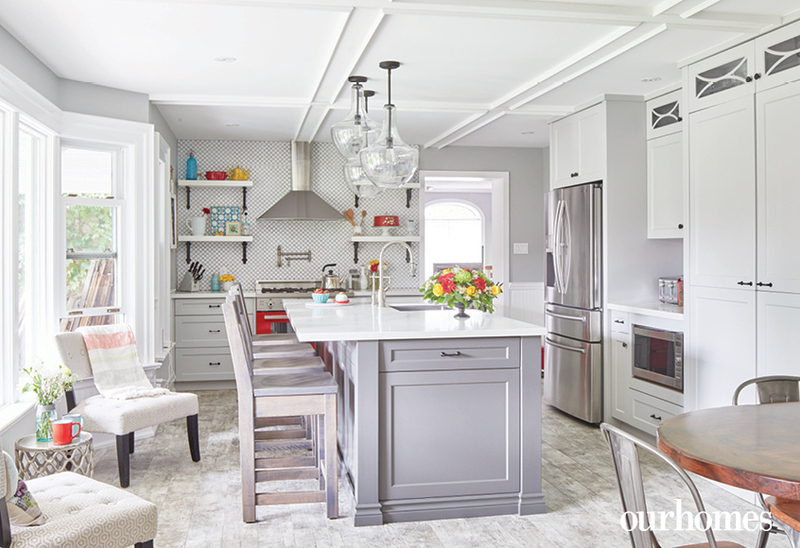 Dee prioritized the creation of an extra-deep pantry, and Bricon Contracting helped her rejig the main-floor layout and borrow space from the laundry room and closet to create the storage she was looking for. Finally, their home was starting to take shape – from a very business-like space to a family home. The kitchen is an important space in the home, not just because it’s so centrally located and well-used by the whole family, but because Dee also uses it for work. She partly picked her beautiful white countertops from Blackstone Cabinetry Inc. with photography in mind. 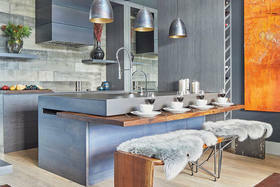 Dee says she didn’t want everything in the kitchen to be too linear so she sought out some rounder shapes to soften the space, such as the oval dining table she designed and had Timber Barn construct, her new backsplash and the lights over the island (from Urban Lights). 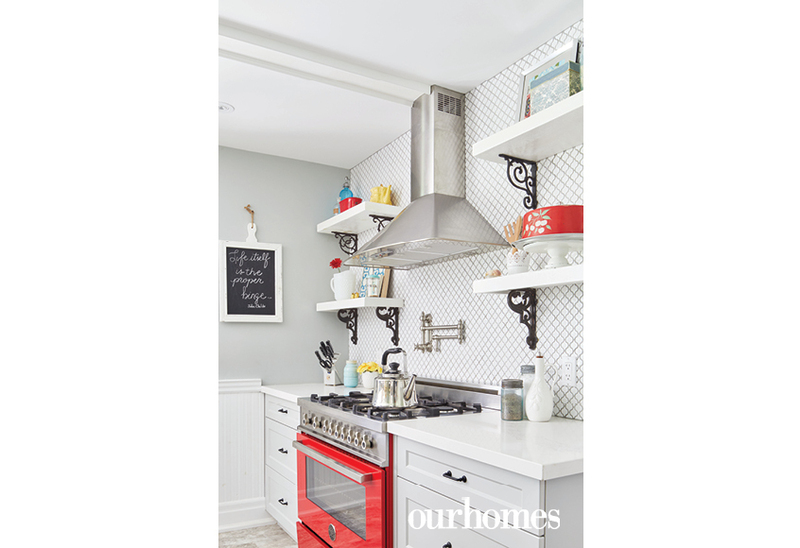 Similarly, Dee – who loves to be bold – selected a standout red Bertazzoni stove to top off her kitchen reno. 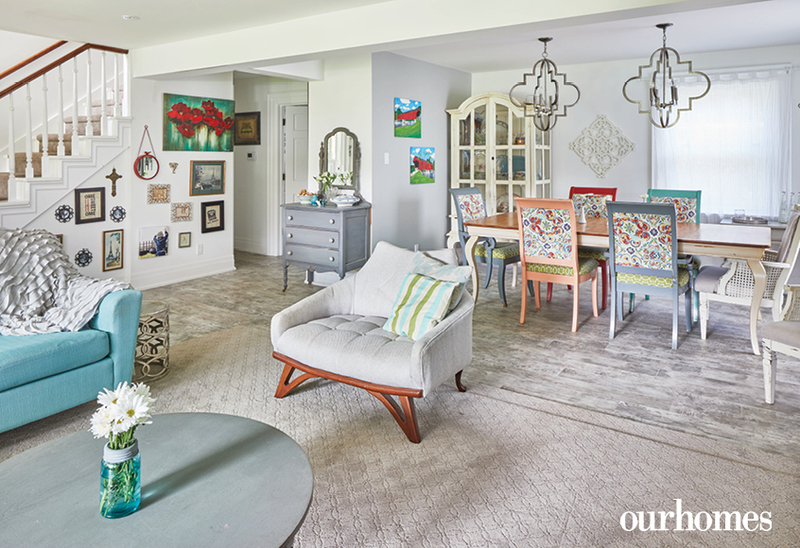 With a little bit of a cottage retreat in mind, Dee installed light-toned flooring (from Zimmerman Custom Flooring in Elmira) and finishes that evoke a waterside retreat. 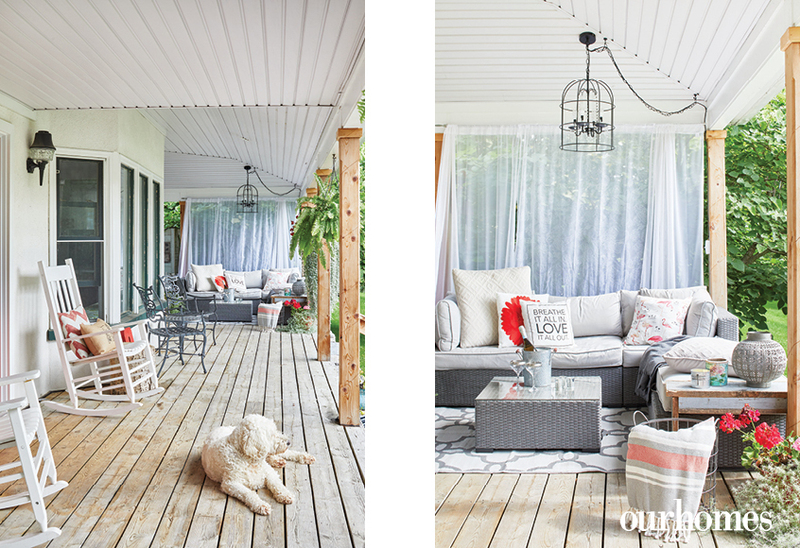 “Even though we’re not at the beach, we are on the water,” says Dee, “and it’s absolutely our favourite place in the world.” Outside, they have a gazebo for al fresco entertaining – and entertaining is her specialty. Dee knows how to set a great table and pour a great drink. Who needs a cottage when you have these views in your front yard? In West Montrose, north of Waterloo, is the last wooden covered bridge in Ontario and the oldest covered bridge in Canada, built in 1881. This large covered porch was a big selling feature for Dee Brun and her family. 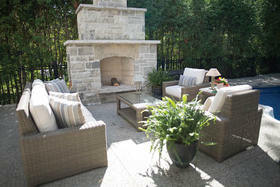 A wide veranda lets the family sit out nearly year-round to enjoy the river views of the Kissing Bridge. Outdoor curtains, casual furniture and cosy accessories make this end of the covered porch the ideal spot to kick back with a good book or a fruity cocktail. 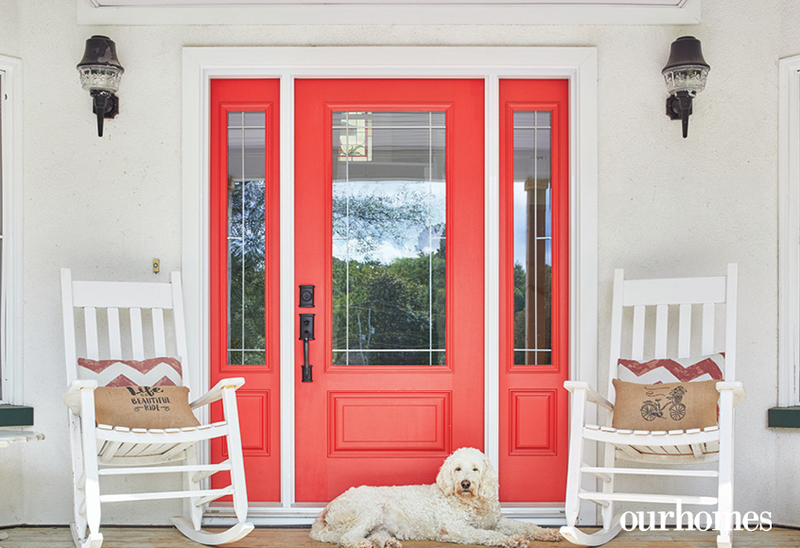 The homeowners’ love for colour is evident right from the red front door. 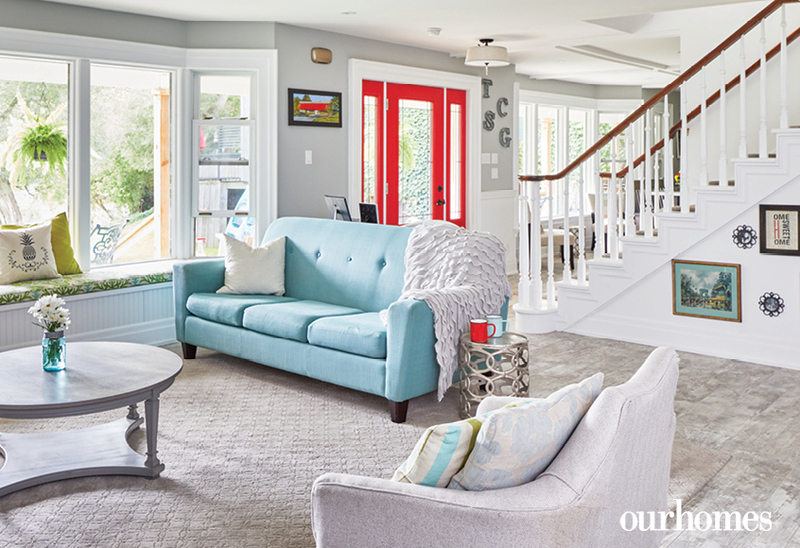 The riverside home has a casual beachy style with bright whites and greys, blues, reds and lots of other pops of colour. A painted white brick fireplace, lots of throws and a variety of colours and textures make this living space extra cosy. 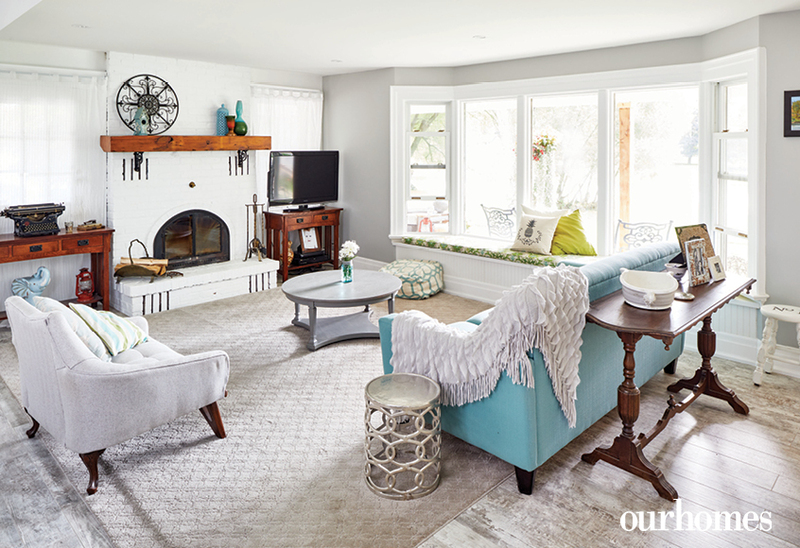 One of the first changes the homeowners made when they moved in was to tear down walls and open up the main floor. This dining set had belonged to Dee’s husband before they were married. 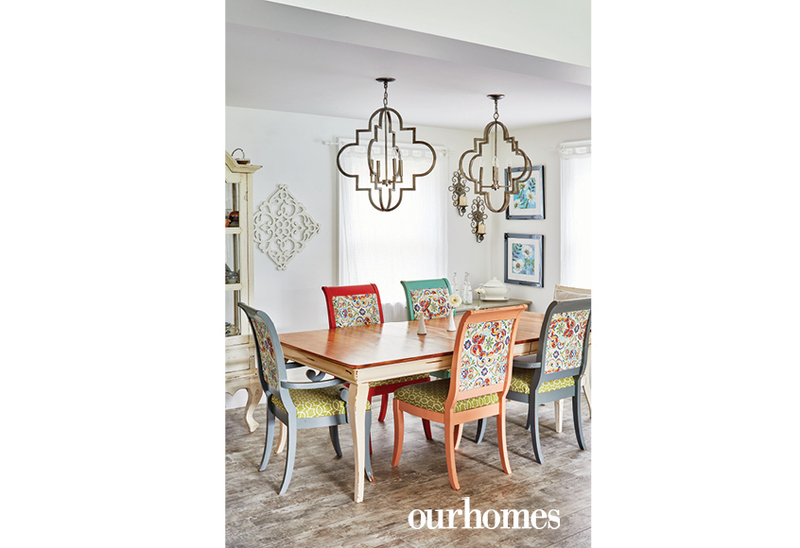 She refinished the chairs in an array of colour and pattern. 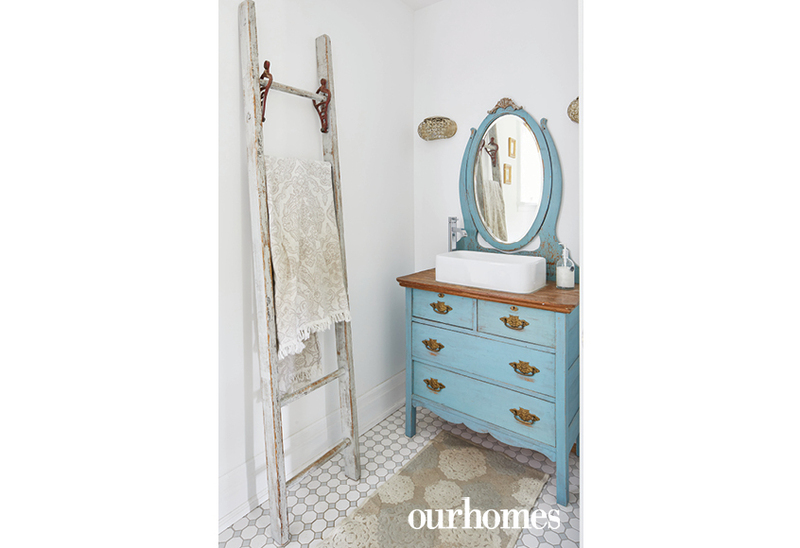 A little bit beachy, a little bit country, the powder room is simple and classic. This kitchen isn’t just a cook’s dream, it also looks right out to the Grand River and the covered bridge. The standout red stove makes a statement in the kitchen. 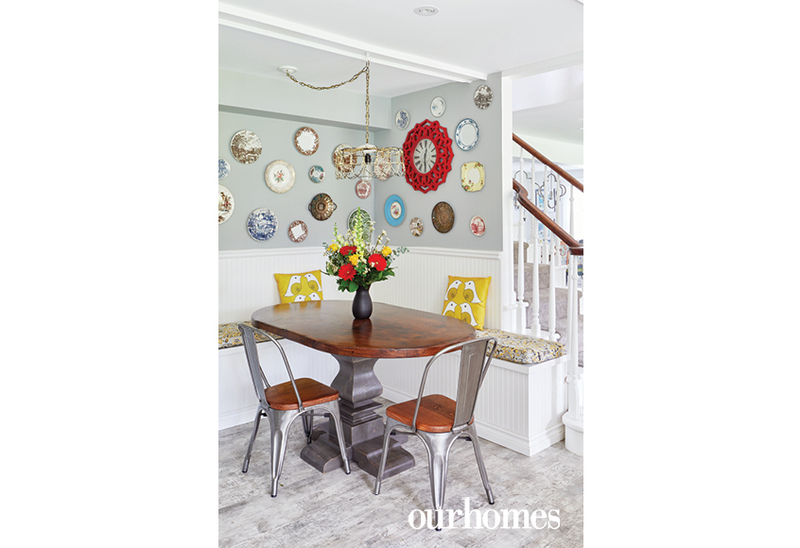 Plates collected from thrift stores create an artful display above the kitchen table – including two featuring the covered bridge! 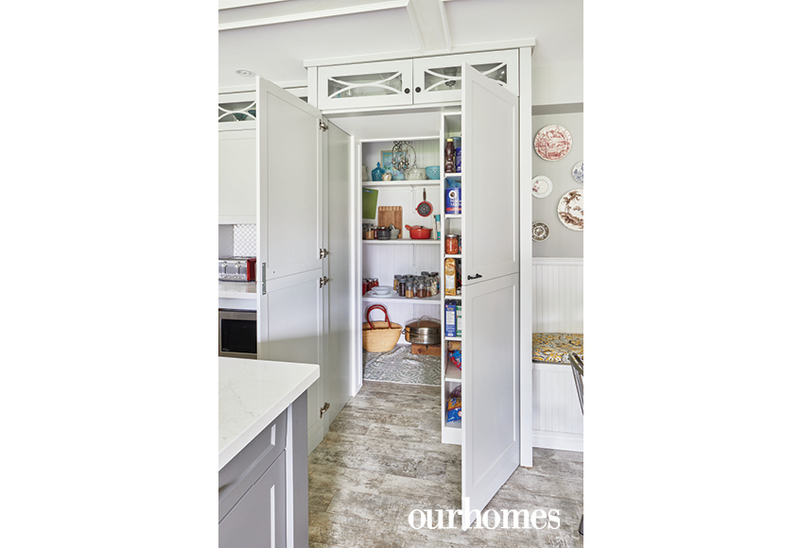 The main floor layout was altered in part to accommodate this deep pantry. Closed off with matching cabinet doors, it’s deceiving how deep it goes. 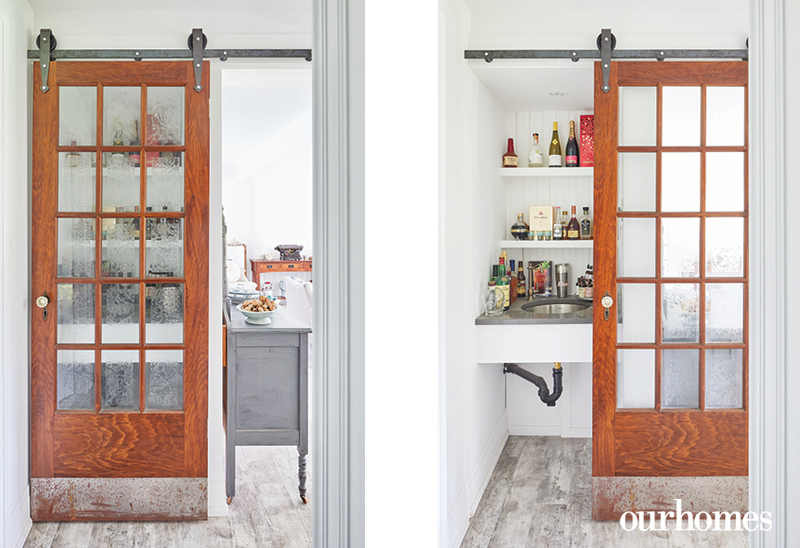 Around the corner from the kitchen, within reach of the dining area and living space, a sliding loft door pulls back to expose a built-in bar area. It slides open to reveal all the ingredients for a great evening. The walls may be grey and white but this space is anything but neutral. Dee’s not afraid of colour and she uses it well! 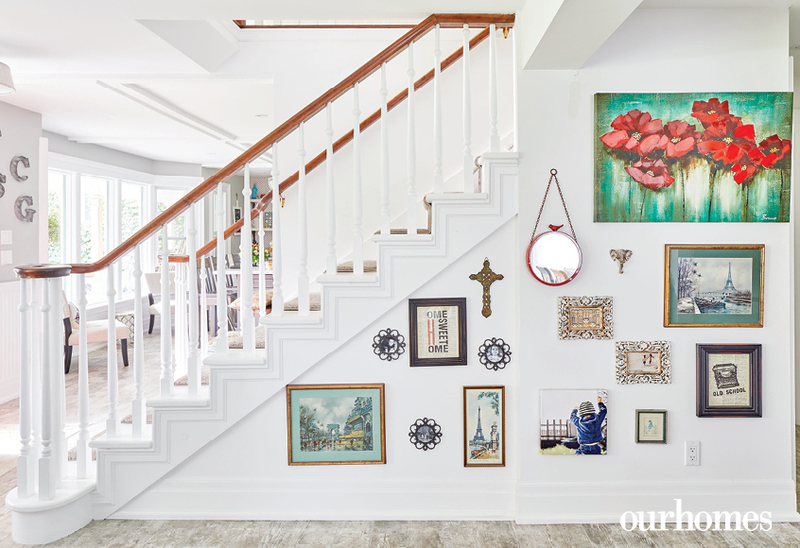 A pretty gallery of eclectic items fills the wall beside the stairs. A winding path from the front of the home leads to this gazebo across the lawn. It’s no wonder this property had been a B&B with its gorgeous yard and picturesque views. Sponsored // Disheartened by over-crowding, GTAers are chasing a slower-paced life. 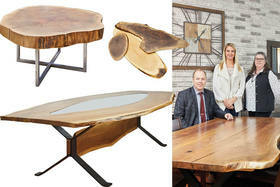 Completely unique London unit customized with the help of local artisans and tradespeople. 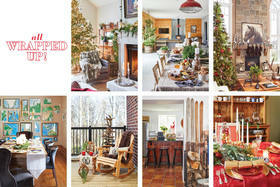 Take a festive-filled tour of seven merry and bright homes in Southern Georgian Bay.